"One of the best films I've seen this year by far." Dominating this world is Jordan’s father, Leo Melamed, the imperious Chairman Emeritus of the Chicago Mercantile Exchange and the man responsible for changing the way the world trades. As Jordan gives us a crash course in the secret code on the trading floor, upstairs in Leo’s office, a long-dormant battle between father and son erupts, echoing the shouting in the pits. Open Outcry is their only common language and Jordan is determined to close the gulf with his father before the pits are silenced forever. Nearly 10 years in the making, Futures Past deftly examines the importance of human contact, whether in families or "the pits." "I was blown away by this film. It documents the fall of the famed pits at the Chicago Mercantile Exchange in favor of computerized trading, all along telling the story of the tumultuous relationship of a father and son....One of the best films I've seen this year by far." " My father is way more sure of himself than I am. Sometimes it's infuriating, but I admire how he takes disappointment in stride and retains his faith that things will work out. When I was a trader, I was full of myself. Sometimes I think I became a filmmaker so my ego could be checked. And it was." "Director Jordan Melamed fascinatingly juxtaposes his life as a trader who went to Hollywood to spend his millions in film before returning home to Chicago and documenting the story of how he passed on carrying on a legacy of his father, a financial futures demigod. The creeping dominance of technology, familial issues, a dying art, there is enough here to keep Freud busy for eons." "...what resonates the most is the touching persistence and stubbornness on display between two men who are more similar than they could ever admit." "There is some serious psychological gamesmanship that transpires each time he sits for an interview with his son and you can see some of the bare-knuckle instincts that carried him on the trading floor in his younger days." Leo Melamed was an immigrant child who, along with his parents, miraculously outwitted the Gestapo and the KGB in an odyssey that spanned two years, three continents and seven languages, arriving in the USA in 1941 at the age of nine. Today, he is globally recognized as the founder of financial futures. In 1972, as chairman of the Chicago Mercantile Exchange (CME Group), he launched currency futures with the creation of the International Monetary Market (IMM)—the first futures market for financial instruments. Twenty years after their inception, Nobel Laureate in Economics Merton Miller named financial futures as “the most significant innovation in the past two decades.” In 1987, Melamed spearheaded the introduction of Globex®, the world’s first futures electronic trading system, and became its founding chairman. The Chicago Mercantile Exchange, today the CME Group, is the world’s largest futures market and where Melamed serves as Chairman Emeritus. Melamed has served as special adviser on futures markets to governments worldwide and his prize-winning memoirs, including Escape to the Futures (Wiley, 1996), have been published in Chinese, Japanese, Korean and Russian. He is also the author of Leo Melamed on the Markets (Wiley, 1993), The Tenth Planet (a science fiction novel, 1984), and For Crying Out Loud (a memoirs continuation, Wiley, 2009). He was also editor of an anthology entitled The Merits of Flexible Exchange Rates (George Mason University Press, 1988). Melamed is the recipient of numerous awards, including the 2005 CME Fred Arditti Innovation Award. He holds Doctor of Letters, University of Illinois, 1999; Doctor of Humane Letters, Loyola University, 2000; an honorary degree in Doctor of Humane Letters, DePaul University, 2005. In 2007 he was appointed Honorary Dean of Beijing University. In 2008, he became the recipient of the Ellis Island Medal of Honor and the William F. Sharpe Lifetime Achievement Award. Leo Melamed is an attorney by profession and an active futures trader. He is chairman and CEO of Melamed & Associates, Inc., a global consulting enterprise. Director Jordan Melamed spent twelve years in the Chicago trading pits before attending the American Film Institute in Los Angeles where his thesis film, A Corner in Gold, won the Student Emmy for Drama from the Academy of Television Arts and Sciences and played at Kodak’s Emerging Filmmaker’s Showcase at the Cannes Film Festival. His first feature, Manic, starred Joseph Gordon-Levitt, Zooey Deschanel, and Don Cheadle, and told the story of a violent adolescent placed in a juvenile psychiatric facility against his will. Manic premiered at the Sundance Film Festival, played at Toronto and film festivals worldwide, and was released theatrically by IFC Films. Showtime bought the rights to create a television series based on the film and Melamed co-wrote the pilot with Davis Entertainment producing. Melamed wrote and produced Twelve based on the best-selling novel by Nick McDonell. Directed by Joel Schumacher, with Chace Crawford, Emma Roberts, 50 Cent, and Ellen Barkin, Twelve premiered as the closing night film at the Sundance Film Festival in 2010 and was released worldwide by Hanover. Jordan is currently developing Fountain of Youth, a hybrid documentary/fiction project about beauty and aging set in South Miami Beach. Producer Doug Block is a New York-based documentary producer and director whose films have won countless awards, screened in dozens of leading film festivals, shown in theaters, and broadcast on television worldwide. Block’s credits as producer include: Silverlake Life (Sundance Grand Jury Prize, Peabody, Prix Italia) and Jupiter’s Wife (Sundance Special Jury Prize, Emmy). His directing credits include 112 Weddings, the opening night showing of the 2014 Full Frame Documentary Film Festival; the film premiered on HBO and was distributed theatrically in Canada and Europe. Block’s previous film The Kids Grow Up (Special Jury Prize, Silverdocs) was released theatrically and broadcast on HBO in 2011. His 2006 film 51 Birch Street was named one of the Ten Best Films of the Year by a number of leading critics, including A.O. Scott of the New York Times, and was selected as one of the outstanding documentaries of the year by the National Board of Review. Block is also the founder and co-host of The D-Word (www.d-word.com), the web’s leading forum for documentary professionals. Linda Morgenstern has been working in film production for thirty years with credits including award winning feature length documentaries that have premiered at Cannes, Toronto, The New York Film Festival, and Sundance. It has been her good fortune to have collaborated with notable directors Ross McElwee, Robb Moss, Lucia Small, Ed Pincus, and Doug Block. Her films have screened on BBC, Arte, HBO, PBS, and Netflix with domestic commercial theatrical runs and international acquisition. 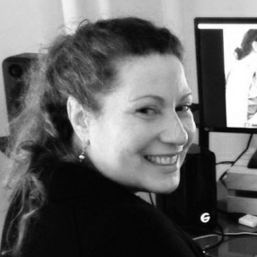 In addition to producing, Ms. Morgenstern provides consulting services to independent filmmakers. 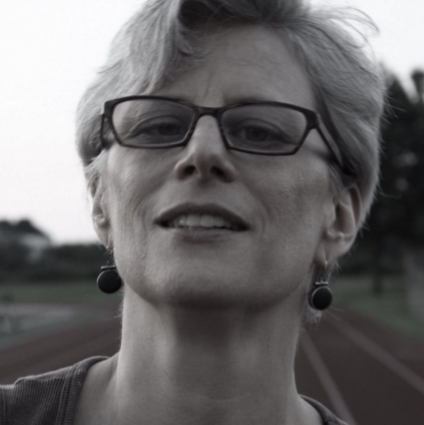 Editor Melissa Neidich is an award winning documentary editor working in the field for twenty years. Particularly drawn to documentaries that experiment with form and style, her past films include Soul in the Hole (Independent Spirit Awards), Dark Days (Independent Spirit Award and a Sundance Audience Award), Two Towns of Jasper (Dupont Award), and Out of the clearn Blie Sky. Most recently she edited The Rest I Make Up, focusing on the life of acclaimed playwright Maria Irene Fornes. Thanks! We'll let you know when we're in your city!